I first heard of Scott Stratten on Twitter where he goes by the handle "unmarketing." He tweets some interesting things and I recommend you follow him. 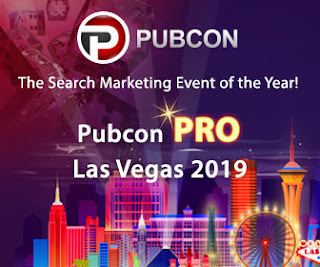 Scott has keynoted Pubcon several times. He is an engaging speaker and shares his ideas (which are quite good, by the way) with humor and enthusiasm. He also did an excellent TEDx talk. Seeing Scott in action made me want to check out this book. Unmarketing is a collection of Scott's thoughts about how companies should engage with customers. The first story is his experience at Wynn hotel in Las Vegas. From there he takes the reader on a journey of "unmarketing" done well and not-so-well. He sprinkles his observations with excellent stories which illustrate his ideas. Scott presents some great lessons wrapped around real-life stories. He writes rather like he speaks, so the stories come to life and you can feel his passion in the words. The ideas, lessons and tips garnered from the work can be applied to any business, small and large. They can help you learn to do what you do better if you're willing to take a step back and start doing things a little differently. Scott wrote how Vistaprint runs their social media presence. They "sign on" their Twitter account at the beginning of the day and "sign off" when no one is actively monitoring their stream. I manage my employer's Twitter account and I think this is a great idea to let people know when we're paying the most attention. I realize that I can catch people's "@" messages when I get in the office and respond when I can, but I believe letting people know there's a "live person" at the other end of the Twitter stream can encourage better interaction between us and our customers. If you are in business and you're looking for ways to improve how you relate to your customers, I recommend you check out Unmarketing by Scott Stratten (Amazon Affiliate Link).